The middle of nowhere Texas isn’t the first place you’d expect to find a modern art destination and design hot spot. Honestly, you probably don't expect a lot out of this area. Eight hours from Dallas and about seven from Austin, the hot arid scrub of the Chihuahuan Desert where Marfa lies is remote. Despite this, this city appears from the dusty sand like an oasis — the small community of just 2-thousand people revered by in-the-know artists, and most recently, savvy Instagrammers. But what makes this place special? The man who revived it and the art that now attracts visitors from around the world. Marfa in the early 1900s. Via Marfa Public Library. Marfa was founded in the 1880s as a railroad water stop, a place passing steam trains would break to refuel. The story goes that the name Marfa came from the suggestion of a wife of a railroad executive who took it from a character in a Jules Verne novel. 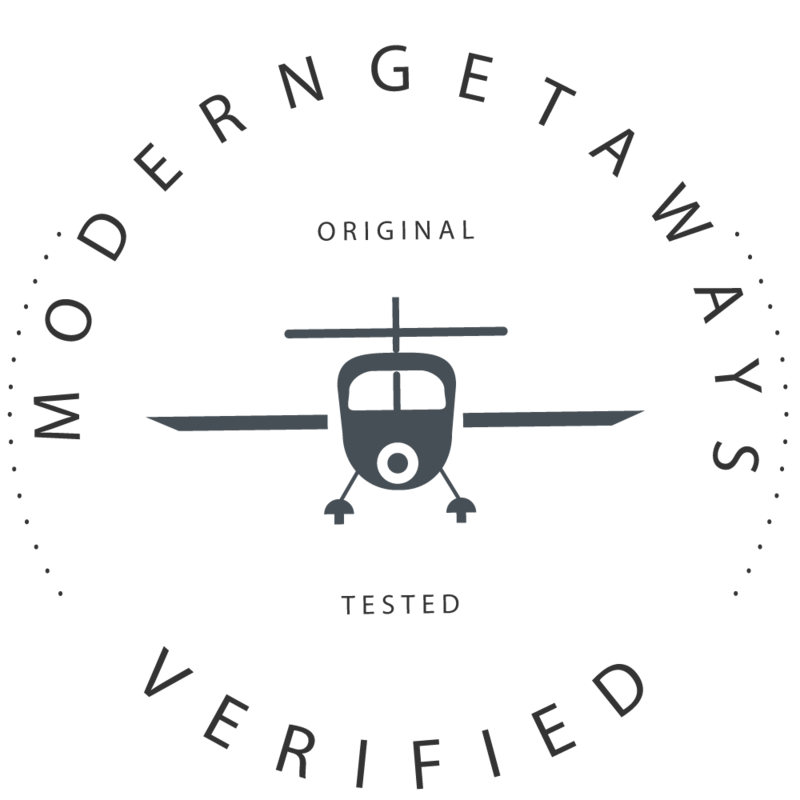 Not long after in the early 20th century, the U.S. Calvary set up a fort there, and during World War II the city received a boom when the Marfa Army Airfield was established as a training facility for thousands of pilots. The boom brought hotels, movie theaters and restaurants, but once the facility closed in 1945, the town began its slow decline. 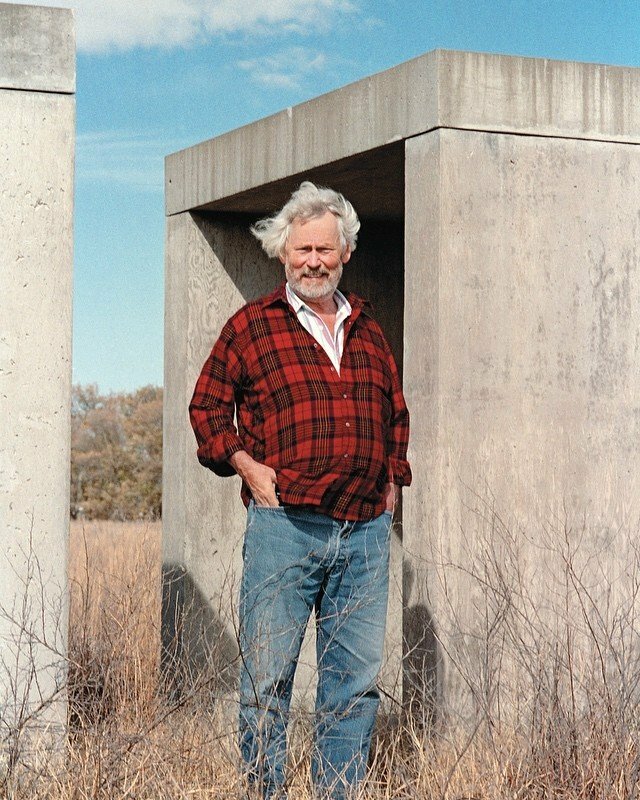 Judd in Marfa with 15 untitled works in concrete, 1980-­1984. Via @chinatifoundation. Cue Donald Judd, world-renowned artist famous for his simplistic box sculptures. Sometime in the 1940s, then serviceman Donald Judd happened across Marfa while passing from Alabama to Los Angeles. The sparse and striking landscape made an impression on him, and after rising to international acclaim as an artist in New York in the 1960s, Judd eventually decided to escape the New York art scene and make Marfa his part time home in 1971, moving there permanently in 1977. Believing art and environment were inherently linked and desiring a space to show his art without the mediation of museum curation or artist’s statements, he found a perfect backdrop for his sculptural works in the wide-open space and captivating desert light of Marfa. Untitled aluminum sculptures by Judd displayed at The Chinati Foundation. Via @chinatifoundation. Some of Judd’s work displayed at The Chinati Foundation. Via @chinatifoundation. Before he died, Judd purchased 6 abandoned buildings, three ranches, and the decommissioned Fort D.A. Russell base in Marfa, an accumulation which spanned 40,000 acres. Judd transformed many of these buildings into The Chinati Foundation, a contemporary art museum which opened in 1986 and serves as a permanent home to many of Judd’s large-scale installations as well as those of other artists he admired, like the bold car part sculptures of John Chamberlain. After his death in 1994, the Chinati Foundation carried on Judd’s mission and continues to be a lasting home of art and culture in the community. Today, the legacy of Judd inspires many other artists and design aficionados who flock to the area. The now world-famous installation, Prada, Marfa, a fake Prada store located 26 miles outside of Marfa in the middle of the desert was created in 2005 and has brought more attention to the town, attracting Instagrammers and road-trippers in droves. Many celebrities and city dwellers are also following Judd’s suit, buying up property in the area and establishing summer homes to bask in the simplicity of small town life and the beautiful starkness of the open desert. While for some the remoteness of Marfa makes it a bit of a stretch for a getaway, for others this remoteness is exactly the point. Thinking about a visit? Consider visiting during the annual Marfa Film Festival or Trans-Pecos Festival of Music + Love. While you’re there, the Thunderbird Hotel, El Cosmico, and Hotel Paisano offer some unique digs. Freda, Book Marfa, and the Cobra Rock Boot Company will scratch your shopping itch, and of course, The Chinati Foundation, Ballroom Marfa, and the Judd Foundation will give you the full art experience. When you’re done, Marfa Burrito or Cochineal are there to leave you full and happy.